Laguna Niguel, CA Mobile Locksmith Service, Custom Lock and Key, established in 1988 offers mobile commercial, industrial and residential locksmith services in Laguna Niguel California. Mark Eley LCO3007 and Ryan Eley LCO4506 have over 40 years combined experience servicing, retail property management, commercial property management, retail centers, restaurants, medical building, industrial facilities and residential locksmith services in Laguna Niguel CA. We're on call for lock and key repairs from Aliso/Wood Canyons Regional Park to Badlands Park, from Laguna Niguel Regional Park to the Chet Holifield Federal Building , or from any of the businesses or residents in the 92677 zip code. We service: ADA hardware compliance, keyless access systems, high security key systems, master keying, rekeying, key and door labeling, door hardware installations, desk locks, filing cabinet locks, mailbox locks. Our unmarked vans (for your privacy) are fully stocked for your commercial and residential locksmith needs. 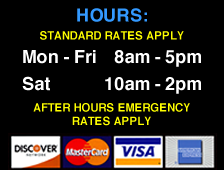 Family owned and operated since 1988, specializing in prompt, reliable, efficient, affordable locksmith service.